The redevelopment and refurbishment of St Andrews Students’ Association building reflects the university’s commitment to the student experience and our commitment to a quality project. Morrison Construction worked on a key project to help the university maintain its competitive edge by transforming the Students’ Association building, based in the town centre area of the campus. 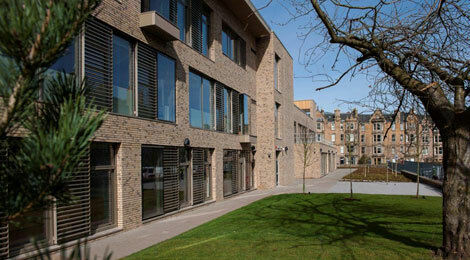 The works involved the redevelopment and refurbishment of a three-storey building on the main thoroughfair in St Andrews. A lot of thought was given to the protection of the works and to make sure that the building was still able to operate. 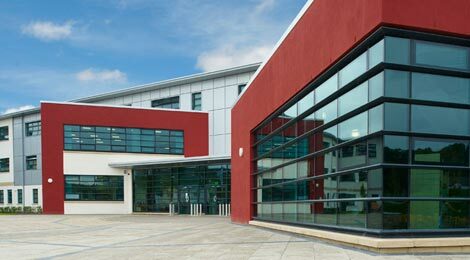 This included providing temporary accommodation and heating for staff while a new heating system was installed. It was essential that the facilities were accessible during each year's Freshers’ Week, which meant co-ordinating all bar deliveries with our own delivery schedule. Programming also had to take into account the unknown services and asbestos that were found during the works. The construction works included the installation of eye-catching floor to ceiling glazing to the entrance and east and west facades and upgrading of the building services and landscaping.